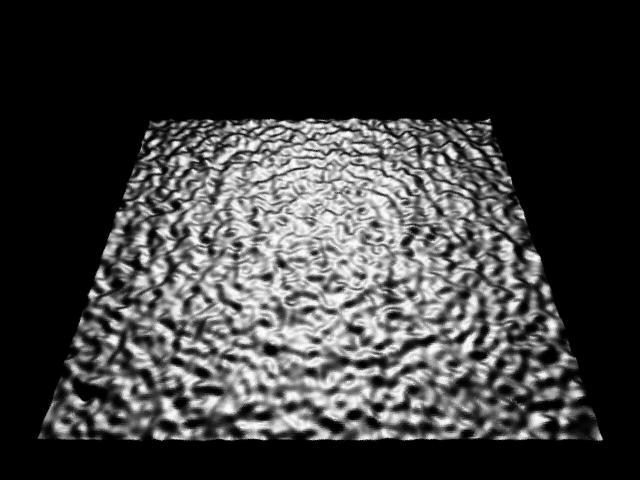 All images were generated for the SIGGRAPH '92 paper, "Predicting Reflectance Functions from Complex Surfaces", by Stephen H. Westin, James R. Arvo, and Kenneth E. Torrance, or for my eponymous Master's Thesis from Cornell, or during work for those publications. All images © Stephen H. Westin, Cornell University, and/or The Association for Computing Machinery. All rights reserved. All images are corrected for a monitor gamma of 2.2. 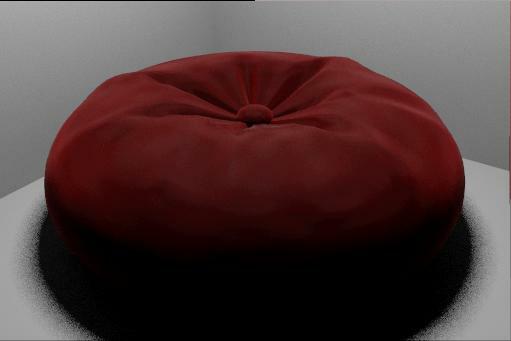 Bright velvet cushion. Note the white highlight below the center button; this comes from the ends of the individual nap fibers, which were square and polished in this simulation. The fibers were 100% transparent in the red channel, resulting in the really tacky red color. This was the image generated back in 1992; for a somewhat nicer, more recent rendition, look here. 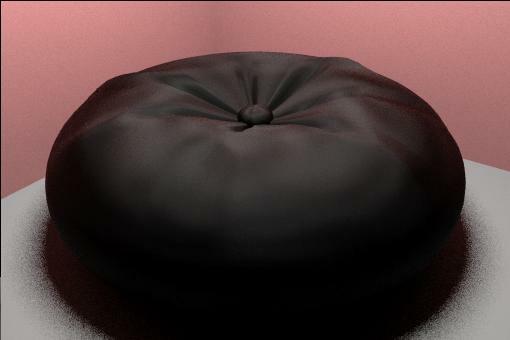 Dark velvet cushion; shown at SIGGRAPH '92, but didn't make it in time for the proceedings. 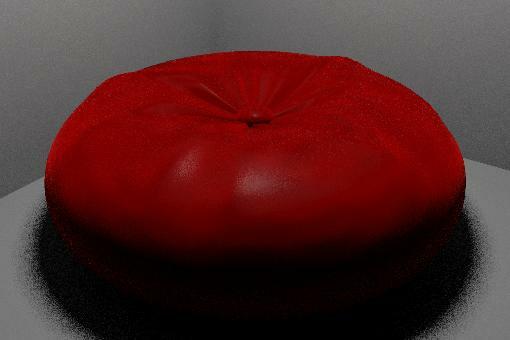 The highlight is gone, because we gave each fiber a spherical end cap. These nap fibers were slightly absorbent in the red band, giving a much darker color. This was the image generated back in 1992; for an improved version, look here. 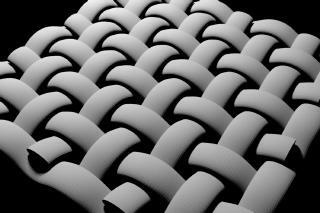 Weave microgeometry used for cloth simulation. 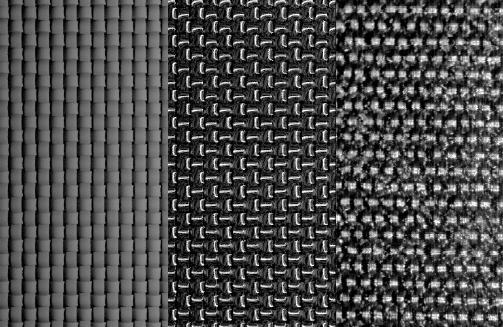 3-way comparision: cloth microgeometry with Lambertian BRDF, with microscale thread BRDF, and photomicrograph of actual black synthetic cloth. 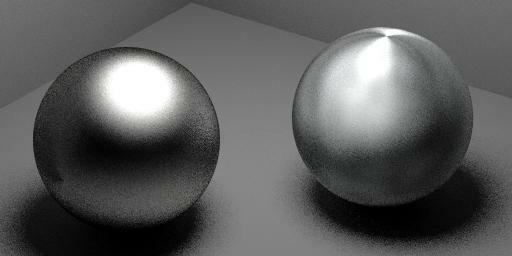 Comparison of isotropic vs. anisotropic aluminum BRDF. Spun aluminum version of the Utah teapot. 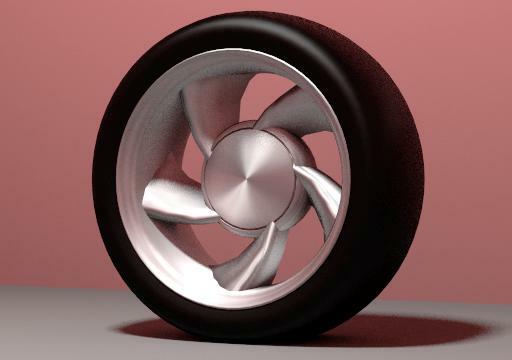 Anisotropic aluminum wheel. 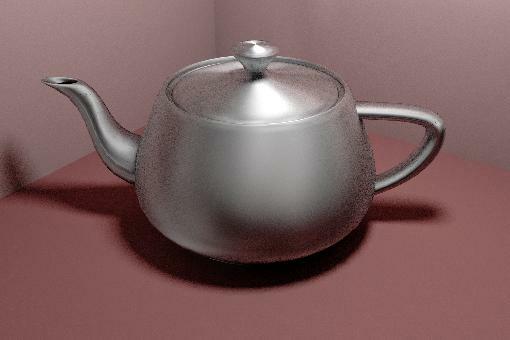 The center cap is smooth; the conical appearance is solely due to the anisotropy of the BRDF. Rough surface with Gaussian autocorrelation function. Sigma = 10 micrometers, tau = 65 micrometers. Width of patch is 4 mm. Geometry for this surface and three others like it is available.